Film star who made a name for himself playing Tom Sawyer in the German adaptations of Tom Sawyer and The Adventures of Huck Finn. His first screen acting roles were in the 2010 television movies Der verlorene Vater and Tod in Istanbul. 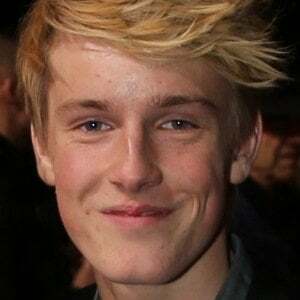 In 2015, he earned prominent roles in the films Land of Mine and Sanctuary. He has an older brother. In 2016, he appeared in the drama Alone in Berlin alongside Emma Thompson, Brendan Gleeson, and Daniel Brühl.